is extremely excited to be making her Kokandy debut with such a talented and supportive cast. Chicago credits include: The Gilded Age (City Lit Theater), Return to the Forbidden Planet (Jedlicka Performing Arts Center), and Pericles (Chicago Shakespeare Theater). Regional credits include: the National Premiere of Zorro the Musical; Oliver (Hale Center Theater), and the west coast tour of One Nation (American Heritage Orchestra). 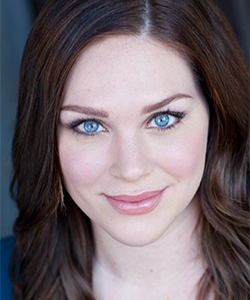 She studied Theater Performance at Utah Valley University. Thanks to my friends and family for showering me with love and support!